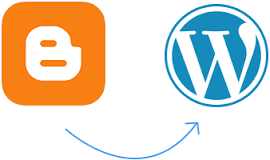 Blogger is a blog-publishing service that alti-user blogs with time- stamped entries. It was developed by Pyra Labs, which was bought by Google. WordPress started in 2003 with a single bit of code to enhance the typography of everyday writing and with fewer users than you can count. First you need to sign up with WordPress hosting company. Then Export your Blogger blog by visiting Settings » Other page.